William Penn is a unique and innovative high school where students in Colonial School District can personalize their learning to suit their interests and needs! In addition to the three main colleges with multiple degree programs to foster student choice, William Penn offers online courses! Furthermore, partnerships with local universities allow Penn to offer Dual Enrollment for students to start earning college credits early. Students working in online courses can do so from home or in the Innovation Center at William Penn High School. 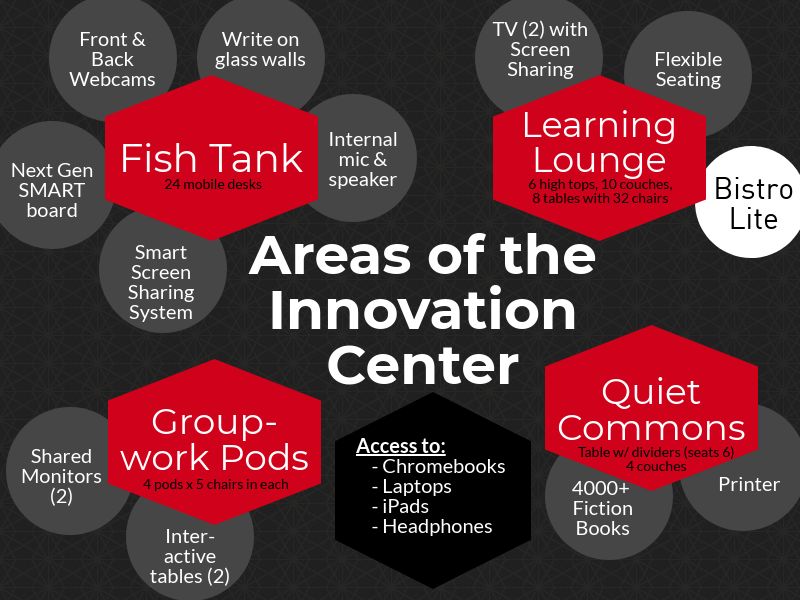 The space is newly renovated (partnered with Discovery Learning) for the ultimate college feel with a variety of different collaboration spaces, good ole' fashion books, and even the student run Penn Bistro. Once you submit your answers, scroll UP!